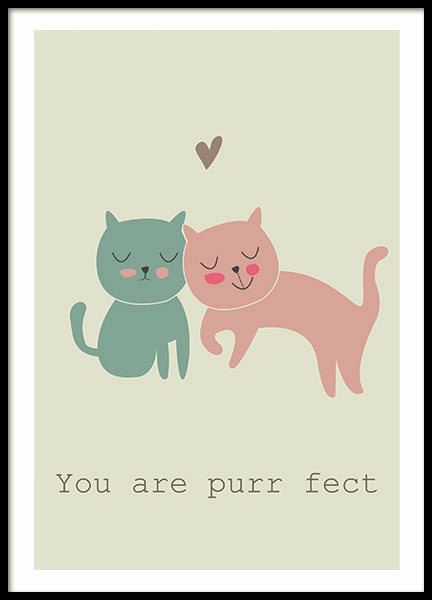 Children's Poster with a two cats. Posters for kids. 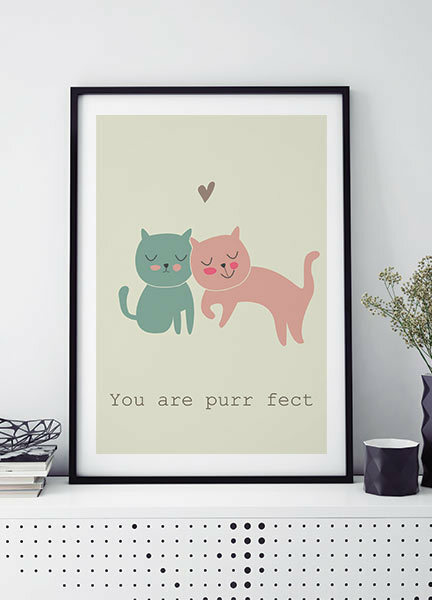 Children's poster with two cutre cats. 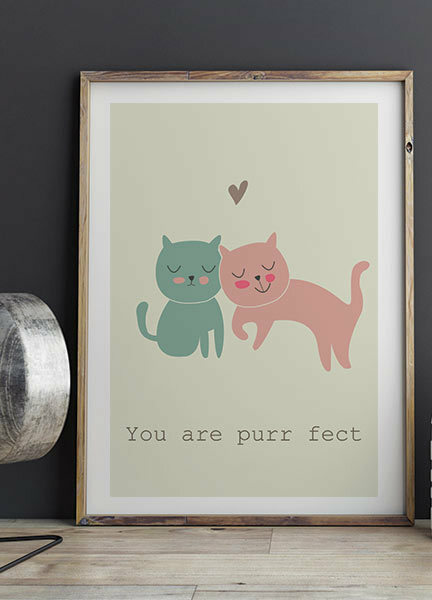 A children's Print that goes well together with our other children's posters. 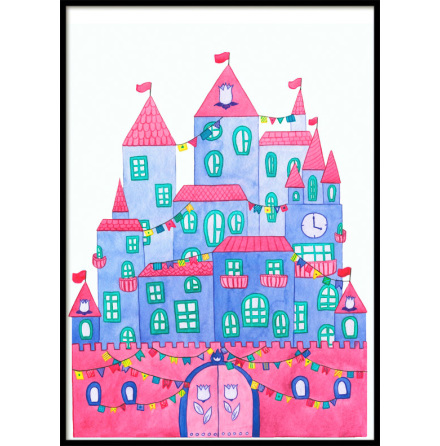 Create a gallery wall of children's posters to create a personalized touch to your children's room. Printed on matte premium paper. Frame not included.